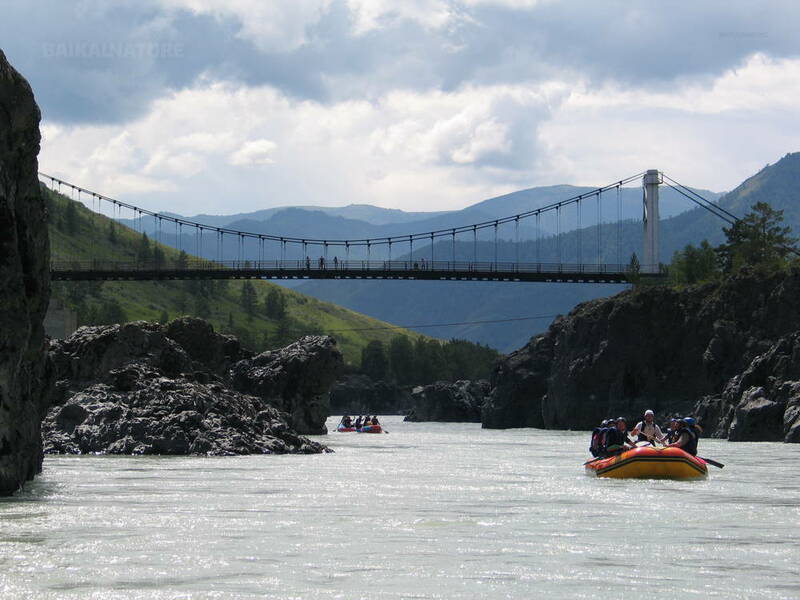 The Katun River, 688 km long, is the main river of Gorno-Altai. It is born in the southern ice slopes of Mt. Belukha (4,506 m) near the Gebler glacier and forms the Ob River after joining by the Biya River. 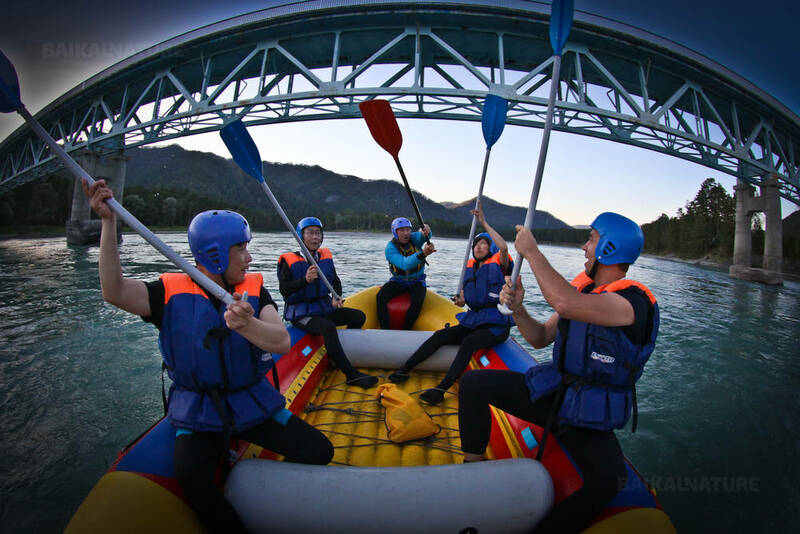 The tour "Rafting on the Katun River" is ideal for the amateurs of active trips, full of adrenalin. This rafting experience begins in the village Tungur to finish in Chemal, situated on the banks of the river Katun. During these seven days rich in emotions you will discover the Altai and enjoy physical activities, by discovering the white-water of Katun which reserves for you peaceful passages, advantageous for contemplation, and also other tumultuous as the Akkem Breach, one of the biggest and longest rapids in the itinerary, and the Shabash rapids, the most impressive on the river. Supervised by nice and attentive monitors paying attention to your security at any time, you will go throw everything safely! Departure to the "lost world"
Your trip begins with the legendary road of Altai – the road of Chuya which we will follow during 616,7 km. 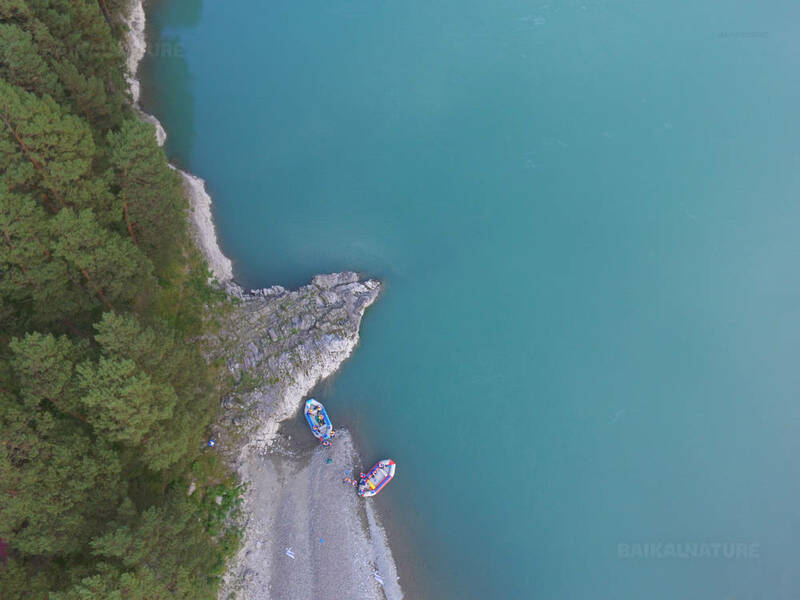 One the way we will go along the biggest river of Gorno-Altai – the Katun River and cross the highest point at ther Seminsky pass from where you will have an exceptional view on mountains and the forest of cedars. 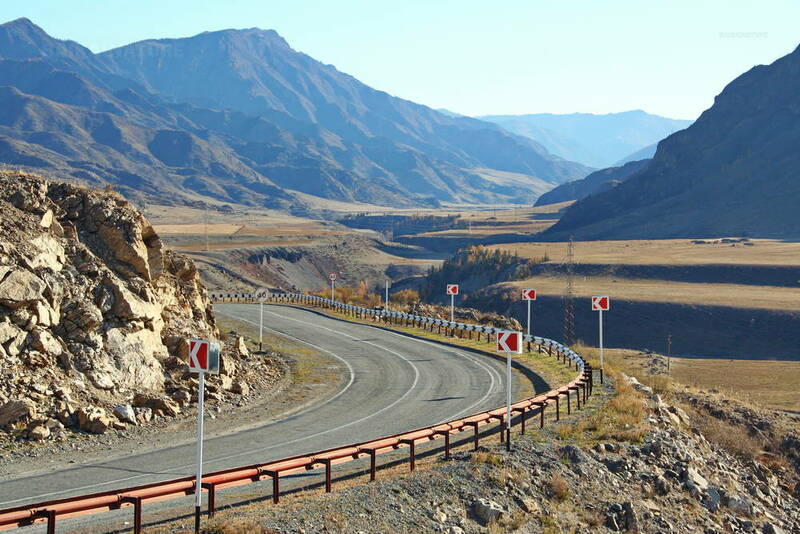 Trip goes on through the valley of Ursul river, you leave the road of Chuya and go up to the pass of Yaboganski. By passing it, you’ll arrive at the steppe of Ust-Kanskaya and just after another small pass (Kyrlyk) to the steppe Abayskaya. It’s still the Gromotuha pass to cross and you are in the valley of Uymon. There, you have one hour of road up to the village Tungur. 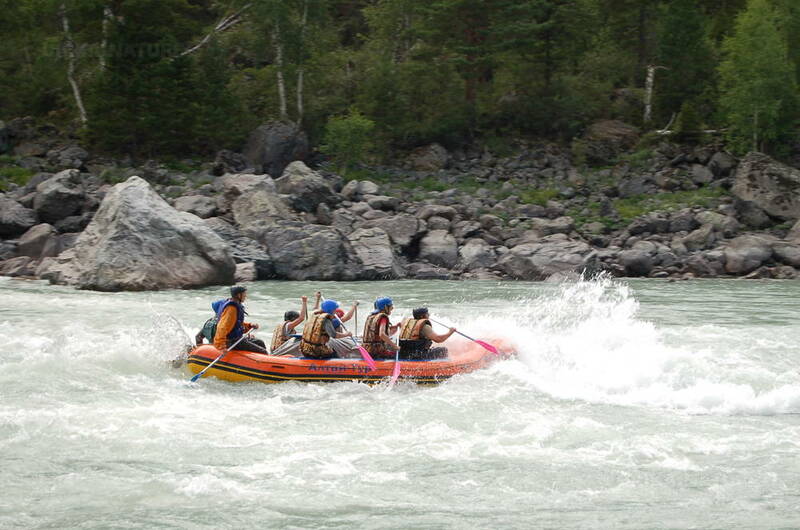 Today you’ll pass the rapid of Akkem (IV category), the most difficult part in the upper stream of the Katun River. After the lunch our navigation will calm enough. We will go till the embouchment of the Argut river. This place became the improvised museum of the tourists' arts. Hot dinner near the fire. You have possibility to admire the beauty of the Central Altai. The region of the Yaloman village has a specific microclimate. As a result there are apple and plum gardens. As soon as we get the endpoint, we have a rest and go fishing. Continuation of rafting on the Katun River. The first rapid to pass is Igulmen (IV category), 500 meters long and where waves can be as high as 3 meters. You can also pass by the edge of the river. Passage of the Kadrinskaya Truba rapid (IV category). 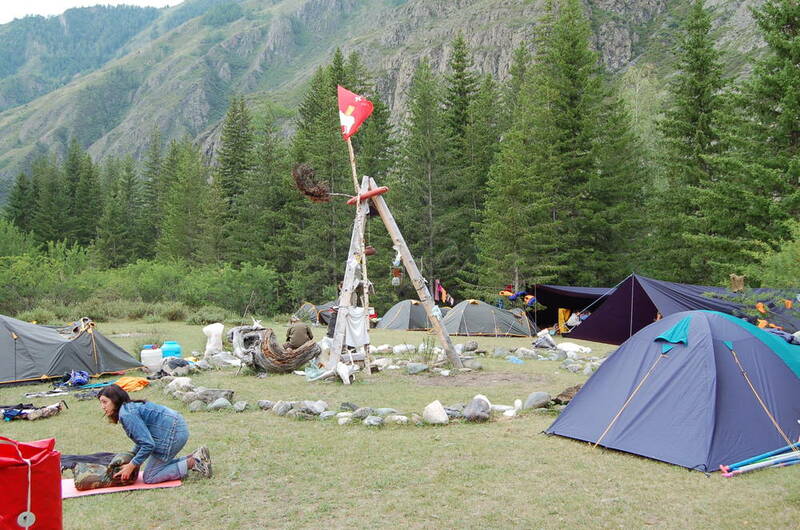 After passing the Poganka rapid the group will stop for dinner and spend the night in the tent on the beach surrounded by huge pines "Zateriannyï mir" (Lost world). Active day. 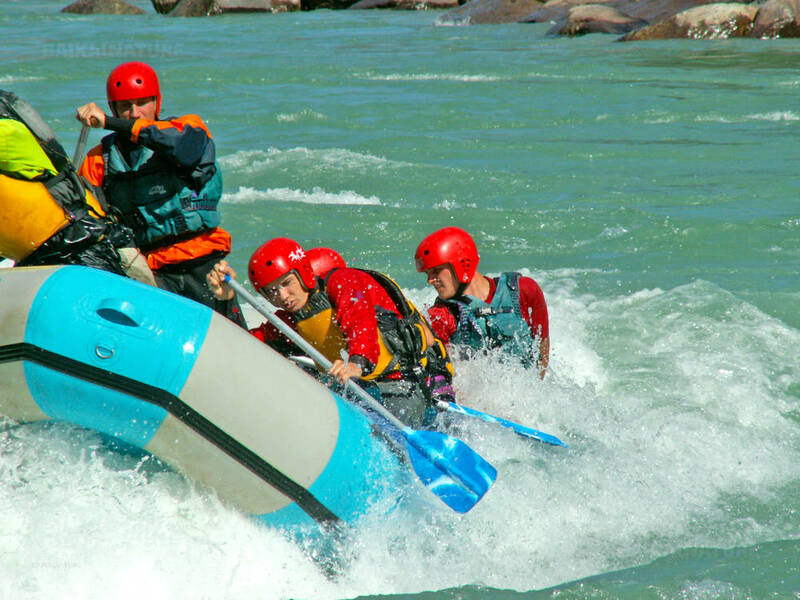 You’ll pass the most powerful and agitated rapid of the Katun River – Shabash (IV category). Picnic on the beautiful sand beach. We continue our navigation to the camp "Petroglyphs" situated in the pinewood. Guaranteed departure from 6 participants. The price includes breakfast on Day 2-7, lunch on Day 2-7 and dinner on Day 1-7. To note: maximum weight to take part in this trip is 110 kg.